In May, I am giving a talk at PDSummit 2017 in Halifax, comparing the project management processes used in the television and construction industries. 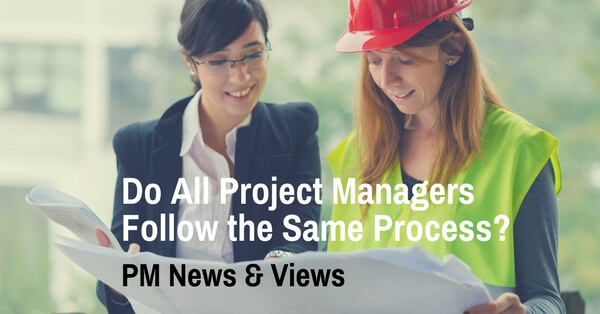 Having taught project managers from many different industries, I have seen that the process is generally the same for all projects. The terms used may be different but, going from one industry to another, the five process groups (Initiating, Planning, Executing, Monitoring and Controlling, and Closing) seem to be followed by project managers everywhere. But is this really true? To test my theory I am conducting research, gathering input from project managers in the television and construction industries on their project management processes. I have a request for you: if you work, or have worked, in either the TV or construction industry, would you please have a look at the questions and send me your input? Click here to answer this brief survey. If you would like to give any other information on your projects, I would be glad to receive it - email me. Thank you very much! 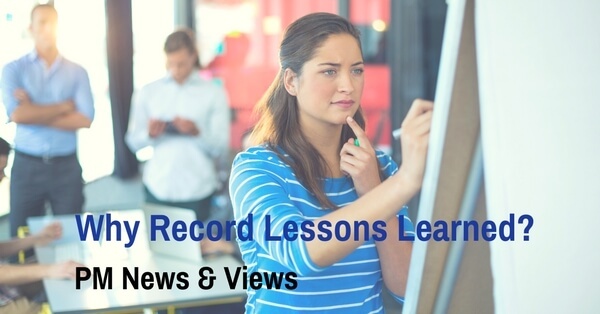 In projects, it is a good practice to document 'lessons learned'. These are things we have discovered to do - or not do - to make our projects stronger. For example, we may have learned to order supplies earlier, to have team meetings in the mornings, or to print reports to give to the sponsor. According to the PMBOK (Project Management Body of Knowledge), lessons learned are: "The knowledge gained during a project which shows how project events were addressed or should be addressed in the future with the purpose of improving future performance." Documenting lessons learned benefits our current project, and ours and other's future projects. Lessons learned are often gathered by teams in end-of-phase or project closing meetings. Like any facilitated meeting, it is useful to have a meeting leader and someone who records the discussion for these meetings. Another way to gather these lessons is through a shared document, for example, a Google document. Using such a document allows team members to input the lessons learned as they occur. I can say this is one lesson I have learned: to not leave documentation to the end of the week or the month, but to record things as closely to their occurrence as possible. It’s not just the fact of having the lessons learned for later use that makes them so important; it’s not even just the getting together of the team to record them, or the ability of team members to provide input to project processes. It is the positive outlook generated in the team by knowing the project is continuously looking for improvements - looking 'on the bright side', you might say. After all, projects are for learning. This week, please welcome Paul Behner, an accomplished project manager in the construction industry, as my guest writer. Deficiencies are a standard line item on most, if not all, construction projects. Construction project deficiency is defined as a characteristic or condition that fails to meet a standard, or is not in compliance with a requirement or specification, and is sometimes referred to as defective work. 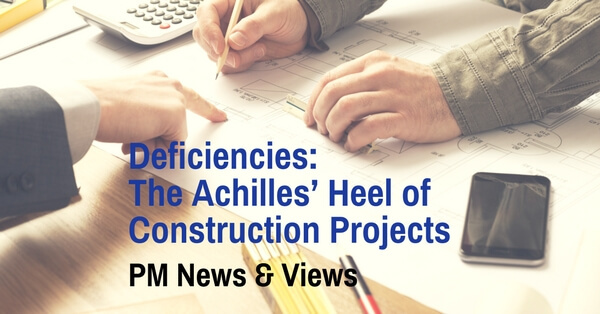 Frequently, the term deficiency is confused or misinterpreted as incomplete work and, more times than not, it's used under lien act legislation to delay substantial completion milestones which trigger holdback releases. In reality, a deficiency is not the same as incomplete work. From a legal perspective, only incomplete work affecting the beneficial use of the facility or asset intended from the project performance determines substantial completion. Without evaluating the global issues surrounding the interpretation of substantial completion, it is fair to say that both deficiencies and incomplete work are routinely misunderstood. There is inherent ongoing risk to the general contractor who is responsible for contract performance of all trade subcontractors and suppliers. This includes all work until project close-out, with the exception of warranty work. The ongoing issue of ineffective deficiency management cannot be improved without first breaking down the problem. Until then never-ending deficiencies will inevitably remain the Achilles' heel of successful project delivery and, in turn, erode profitability and customer satisfaction. Deficiencies are commonly cited as the barrier to successful project completion. To get to the core issue, it is more effective to consider a deeper understanding of project management which goes beyond the deficiency issue. The General Contracting business is as much about time sensitive delivery of a specified product or facility, as it is about operating a business. The business strategy ought to be focused on exceptional project delivery, therefore requiring exceptional project management proficiency. Without question, deficiencies are an anticipated task and risk of every project and should be managed holistically within the project management plan. Whether deficiencies are the catch-all reference for incomplete or defective work being a chronic issue plaguing success, a project management plan that includes the five phases will greatly improve project close-out and overall performance. There is only one solution to effectively manage construction deficiencies and that is by way of a project management plan with improved guidelines on project close-out. Paul Behner has spent 30 years in the construction sector. He provides strategic consulting on the full-cycle management of a project from planning to execution to close out. Visit his website at greentreepm.ca.